All digital marketing professionals strive for SEO friendly websites when they perform SEO campaigns & try to generate business for a particular brand. In simple language, an SEO friendly website has the necessary configurations and features, which help in easy optimization and enable search engines to crawl and index web pages quickly. While starting a new website, you’d need to focus on getting an SEO-optimized domain name. With regards to maximizing the organic traffic, a domain name with keyword phrase is the best option. But there is one more thing that is more important than keywords– the brand ability of domain. By keeping your brand integrated into your domain name, you will significantly help people identify, remember, and share your company online. But, make sure the domain name is unique, short, easy to spell, and communicates with your desired message. The title and description must be unique for each page, attractive to the user, and concise. Stick size from 60 to 70 characters. Ensure a consistent path throughout the site. Tells the brief description of your page used by search engines to determine the position in the SERPs. Give the user an idea of why he should go to this page. Include keywords when appropriate and natural. Header tags help to structure the page and define the hierarchy in the document: H1, H2, H3 and so on. H1 is the most significant text element. This makes the document visually understandable and further ensures the synchronous operation of the design and content to achieve the best effect. The keyword is one of the most essential aspects of website optimization for search engines. Before developing a website, it is important to clearly outline your business goals. With such a plan in your head, you can start developing pages that would include specific keywords. In order to become firmly entrusted to Google for your website, it is important to apply the keywords in the right place on the page, but do not try to overdo it. A clear site architecture, simple navigation, and clean sitemap will make the search engine to crawl the website quickly. Easily navigated sites help the users and search engines to explore it and understand the posted content. Create a structure of the website, on which the search robot can also navigate. Try to make sure that all the links and buttons on your pages are in text form. The Navigation menu on the site should be clear, logical and understandable. The path from the main page to any important page should take no more than 2-3 clicks. Sitemaps help search engines, how your site is structured in regards to index all the URLs of the site and discover the fresh content. To index your content outside the home page, you need internal links that the search engine can crawl. Your main navigation, search engine directives and tools such as XML sitemaps help search engines scan your site and open new pages. Having SEO friendly URLs means allowing search engines to quickly recognize the essence of the page. Include keywords in URLs, which increases the visibility of a website for search engines. More and more people are using smartphones to browse sites. It is important that the site is designed with an adaptive design or has a mobile version. Check that the convenience of displaying content on the mobile version is optimal to read. 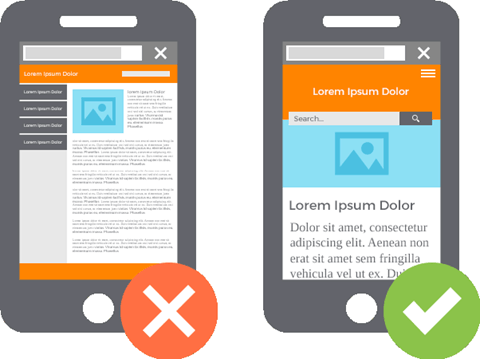 To create a true mobile design and optimize mobile search results, you need to analyze the needs of users armed with smartphones. In terms of SEO, mobility is a confirmed ranking factor for mobile search that will be used by the search engine for analysis and ranking. When it comes to SEO, fast loading pages become essential to improve user experience and increase page views. If the site is taking a long loading time, then search engines will ignore in its top search results. Consequently, visitors will close the site without waiting for content to load. The download speed can be checked using Google tools. It is desirable that the boot time does not exceed 3 seconds. The content of the page should be clear, logical, accessible. A high-qualitative, unique and creative content will enable the search engines to rank your page on the top. For its creation, you should use synonyms and very natural speech. But, a huge density of keywords, invisible links, anchor with punctuation marks, and duplicate content will create inconvenience for the user and threatens penalty from the search engines. Search robots should read the contents of your page. This means that the main content of the site is textual content. Use tools such as web fonts, images, and everything so that search engines can read and understand your information. Pictures, videos, PDF files, and content are also relevant and can be a source of search engine traffic. Again, they must be visible and indexable. Social networks (like Facebook, Twitter, Instagram, etc.) are a viable part of SEO strategy for building a brand and interacting with communities. 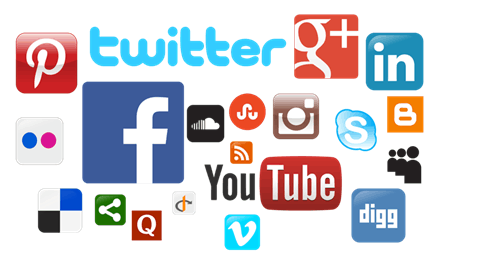 Link through social media results in many inbound links that provide organizations with an accessible platform for achieving business results. You can use existing social media plugins as social share buttons and complementing users with their help. This way, users will like, comment, and share your information with others. Under certain conditions, images can give you a fairly substantial amount of daily traffic. Image name: enter a name that will clearly describe what is shown in the image. Alt text: use alternate text to help those who do not see the image. Add tools to interact with social networks. Use the correct photo size to ensure the image is fast loading. Try adding the images to your XML sitemap. It is necessary to optimize the images, code pages and remove all unnecessary elements. Make sure that the styles, images, text, and scripts are arranged in particular order. all the design and layout of the page. The implementation of each of the above suggestions will take your website one by one closer to the search engines top pages. So, use these SEO strategies and make your site effective and relevant for search engines. Credit: This post is credited to Stephen Chong of Fonbell Solution, a Singapore website design company.